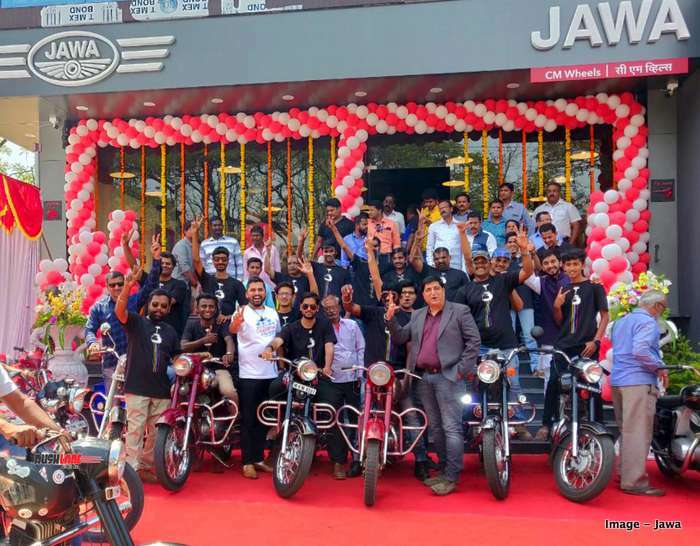 Jawa is celebrating the opening of their 100th dealership. All Jawa dealerships across India are designed with the same theme. They all feature a biker café ambience, bookshelf of interesting reads and Classic Rock music encompassing the entire showroom. And ofcourse, a few Jawa motorcycles on display. The Jawa showrooms look more like an art gallery. 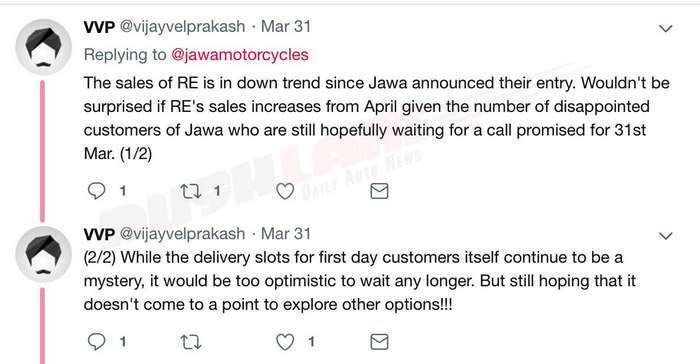 Jawa and Jawa 42 are the two bikes which are on sale as of now, which are priced at Rs.1,64,000 and Rs.1,55,000 respectively. Launched on 15th Nov 2018, the two bikes have received huge response in India. 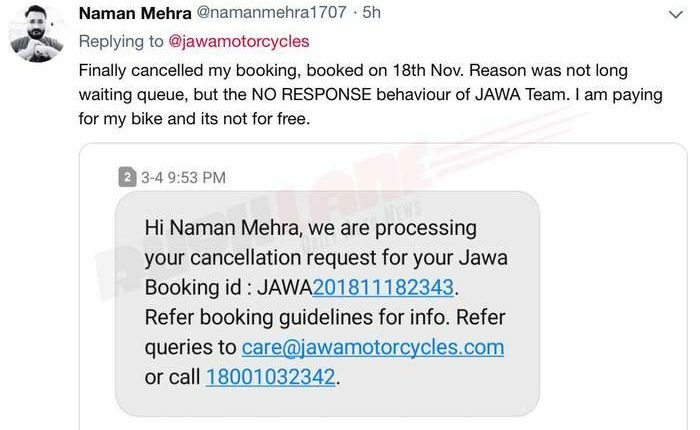 Though the company never revealed booking numbers, they had to stop accepting bookings as their order book is filled till Sep 2019. 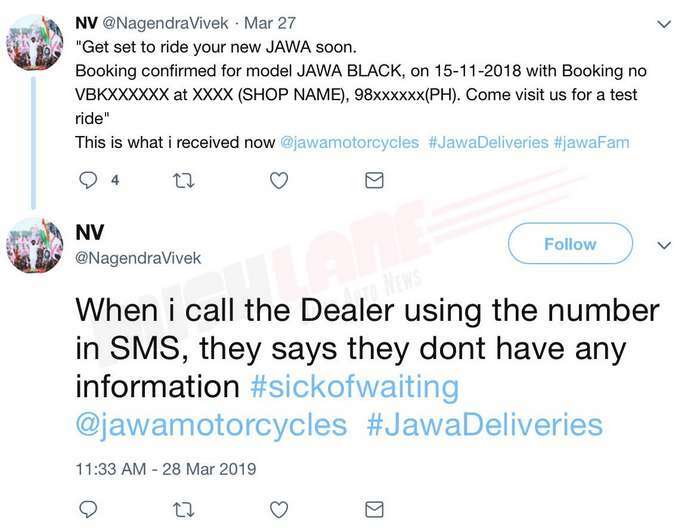 With the dealer network now laid across India as promised, Jawa claims that they are working hard to deliver bikes. On 30th March 2019, Jawa officially delivered the first motorcycle. 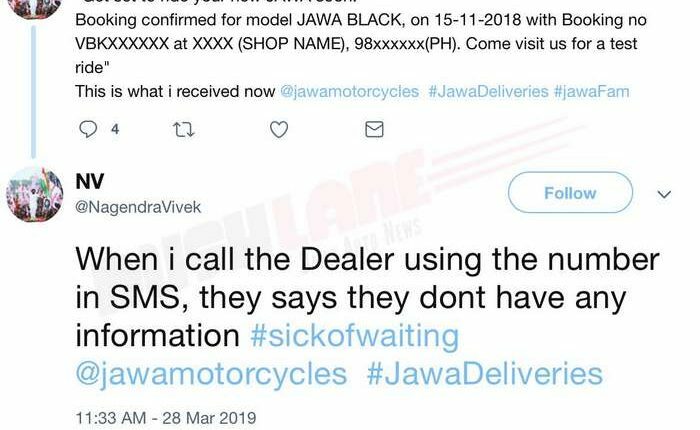 As per a dealer, Jawa will first clear delivery of motorcycles to those who booked motorcycle on 15th and 16th November. 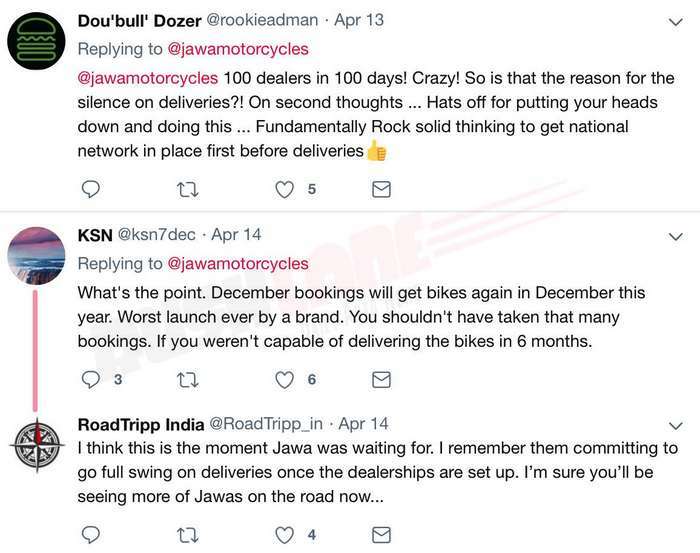 Those Jawa buyers who booked bikes on 15th November, will get their deliveries this month. Those who booked bikes on 16th November, will get delivery in May 2019. 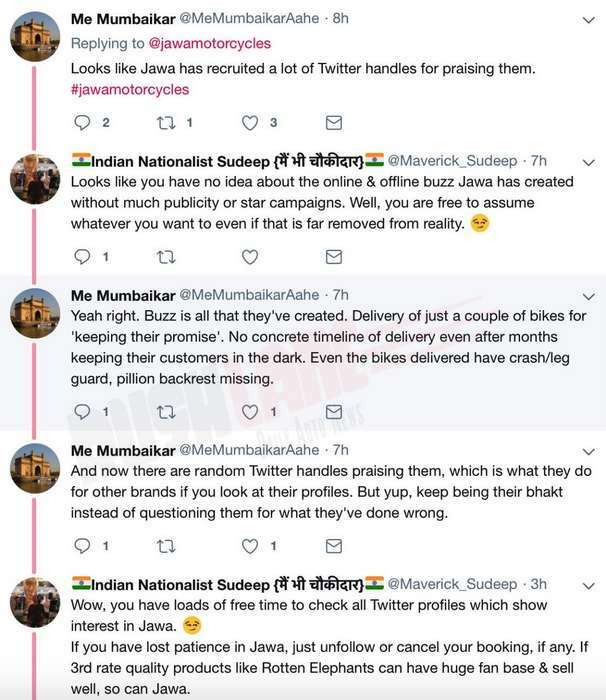 Those who booked 17th and onwards, will get delivery from June onwards. Some buyers are fine with waiting for such long period, while others are upset and decided to cancel booking. 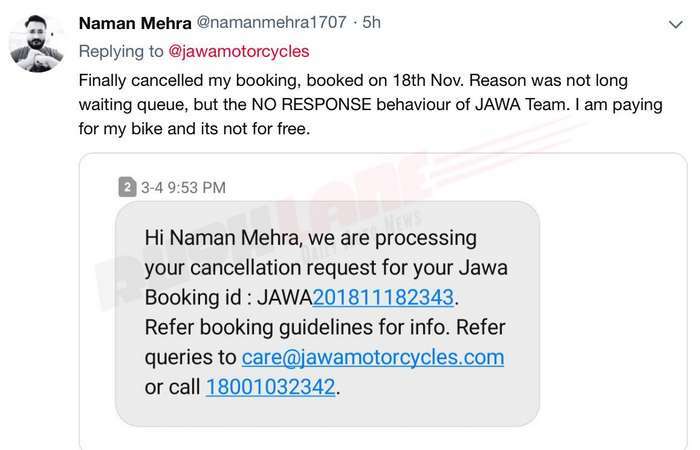 Some have asked Jawa to atleast provide a tentative delivery date, so that they can decide whether to cancel their booking or not. Both Jawa and Jawa 42 get their power from a 293cc DOHC, liquid cooled, single cylinder engine offering 27 hp power and 28 Nm torque. Both the bikes are equipped with single channel ABS as standard with rear drum brake. Dual channel ABS and dual disc brakes are offered as option. These are priced at Rs.1,73,942 for Jawa and Rs.1,62,942 for Jawa 42. Jawa Perak will be seen with a larger 334cc, single cylinder, liquid cooled engine producing 30 bhp power and 31 Nm torque. Perak will be launched by end of 2019. Jawa motorcycles are being produced at the Mahindra two wheeler plant in Pithampura, near Indore in Madhya Pradesh.